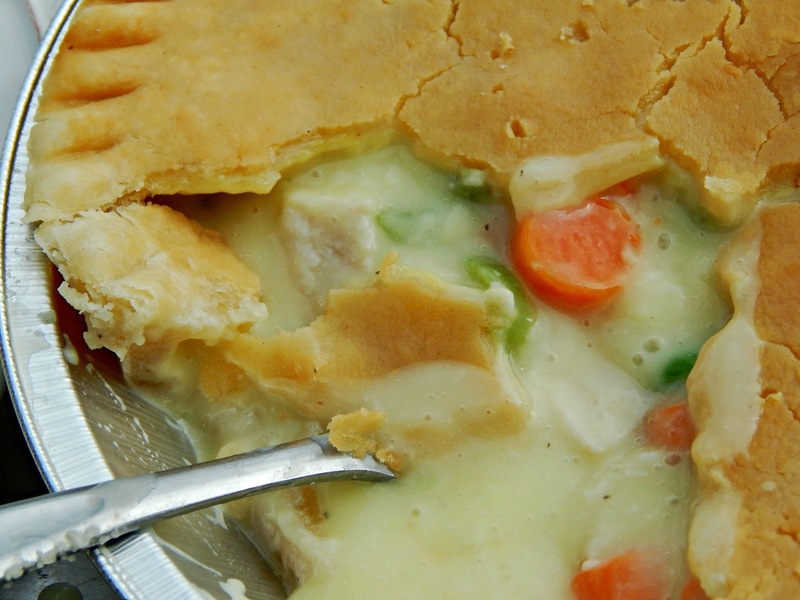 The Marie Callender’s Pot Pie is a great meal in itself, but I usually like to make a quick side dish to have with it, and I am finding myself stepping outside of my old cooking comfort zones and creating new dishes that will hopefully be memorable for my family. 1. 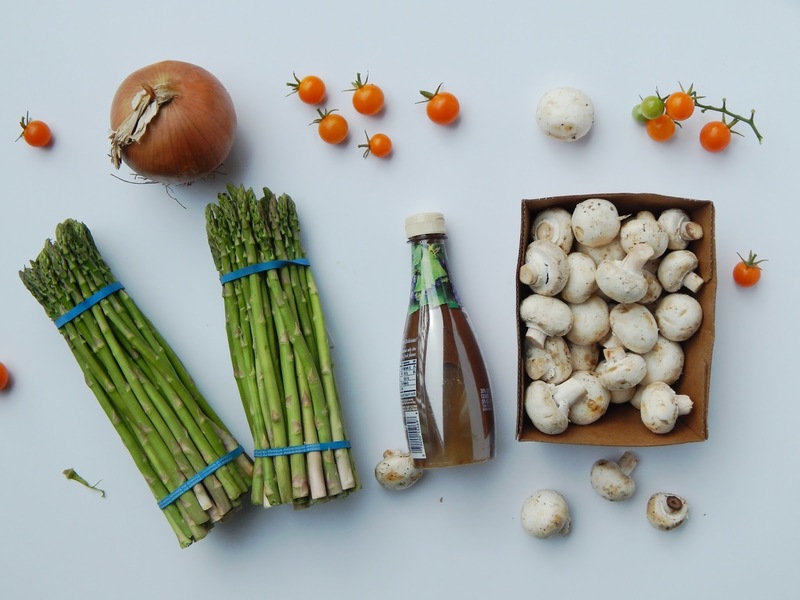 Rinse and cut all of the ingredients. 2. 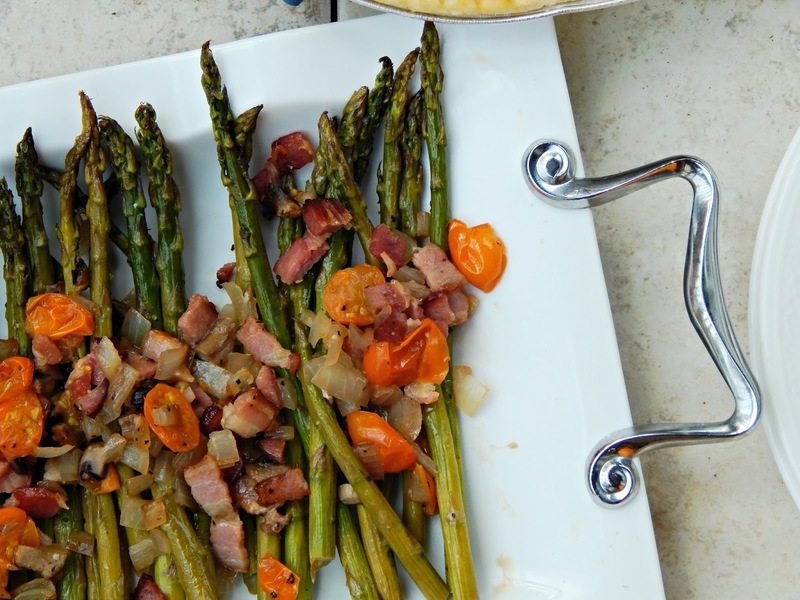 Place the asparagus on a cookie sheet, and then add the mushrooms, tomatoes, onions, and bacon on top. 3. Drizzle the oil and balsamic dressing over the top, turning the asparagus so it is well coated. 4. 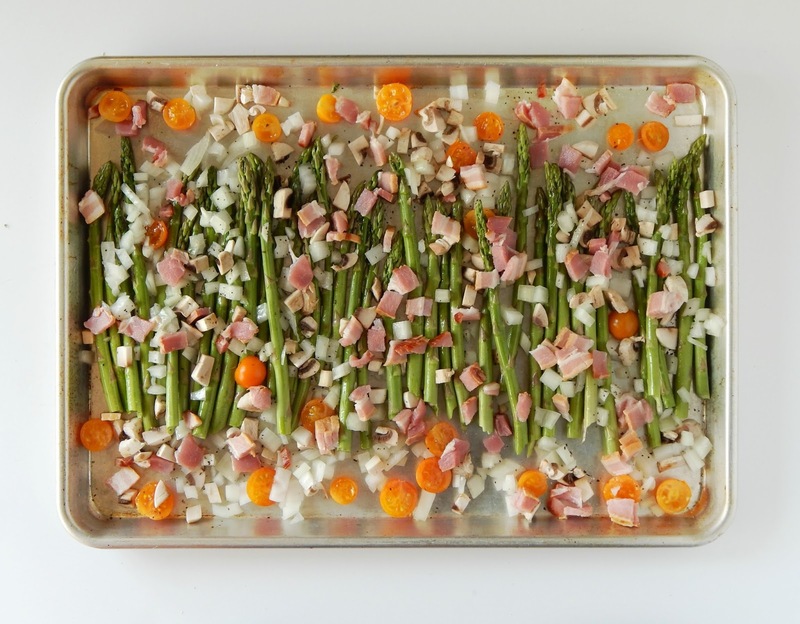 Sprinkle salt and pepper over the asparagus to taste, and then place the pan into a 425 degree oven for approximately 15 minutes, removing the asparagus and turning it halfway through. 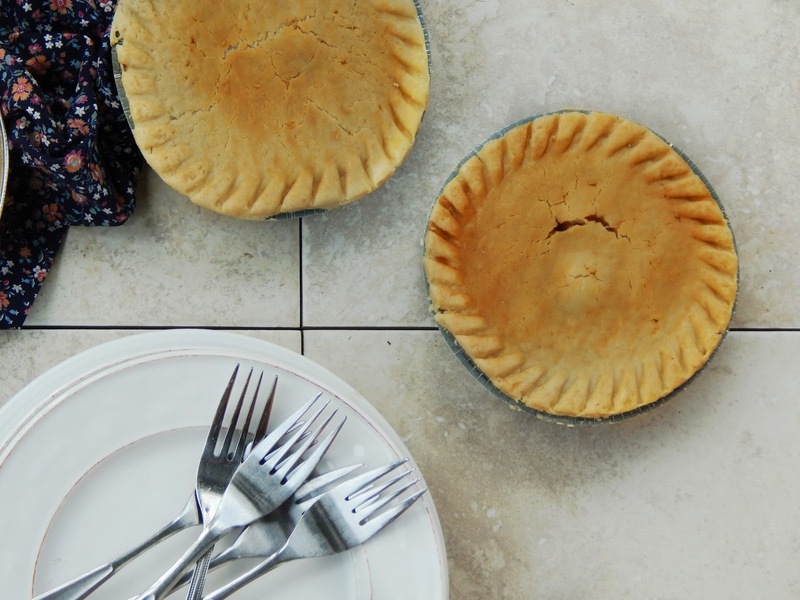 With my Dad still up visiting, this was a perfect meal to share – which gives us more time to finally get our pumpkins carved! 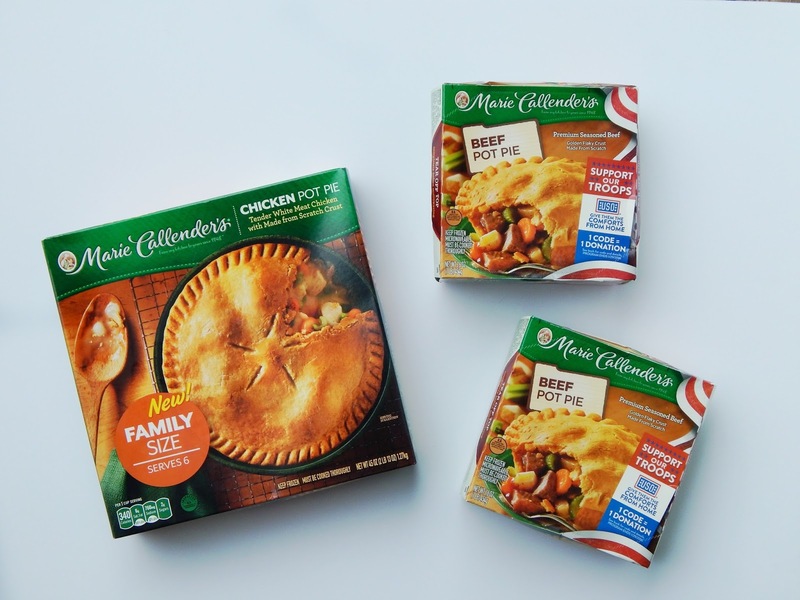 Marie Callender’s Pot Pies can be found in the frozen entrée aisle at your local Walmart. 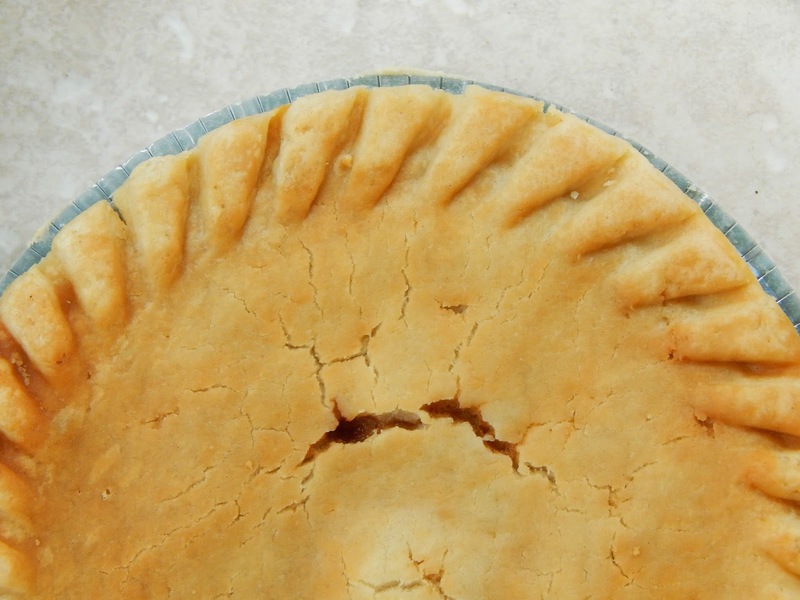 What is your go-to dish that is all ready for you to cook in the oven? 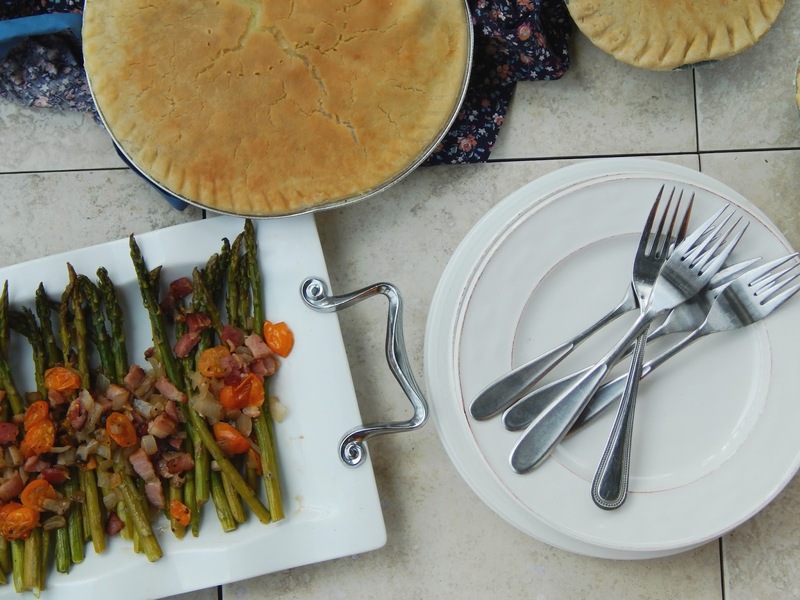 This asparagus recipe looks divine. Thanks for sharing on the link up. 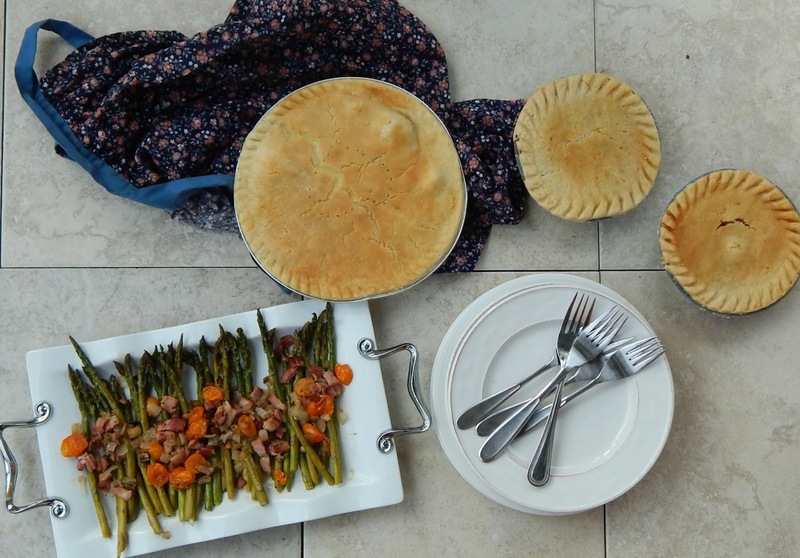 What a GREAT idea with the asparagus. Bacon makes everything better! We've gotten bored with asparagus so I will definitely be trying this one, Sister. Thanks so much.